The owner of a local flower store has asked you to investigate a possible crime: the theft and illegal cloning of his prized black orchids. 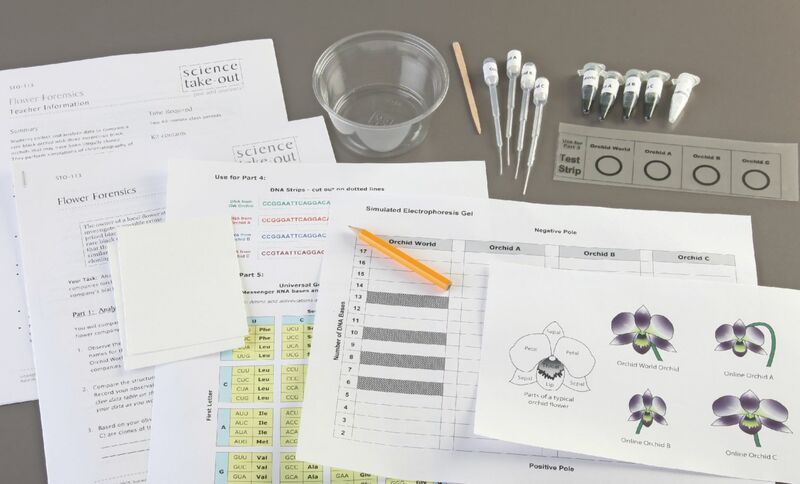 Collect and analyze data to compare a rare black orchid with three suspicious black orchids. Compare orchid structures using diagrams of the four orchid flowers. Perform simulations of: chromatography of plant pigments, enzyme assays, restriction enzyme digestion and gel electrophoresis. This complete experiment setup contains all materials and does not require lab equipment.